When joining the dating site, members are required to describe their Christian tradition, list their height, and describe their physical build. The site is run by Widernet Communications Ltd. and its founder, Jackie Elton, and has been in operation since 2000. Christian Connection also sponsors events for Christian singles to enhance their dating life in the United Kingdom, including speed dating, dance classes, and holiday parties–though this profile only covers Christian Connection's U.S. site. Christian Connection has been in business for 18 years and claims that it is one of the "longest running and largest Christian dating sites." Their Facebook page has over 42,000 likes, and they have been mentioned by the news media, including in articles in The Huffington Post, BBC Radio, and The Guardian. The site is clear about the niche in the dating market it is trying to fill: It is a site for Christians who are seeking dates. friendship, and a potential relationship with those who share their Christian faith and values. Christian Connection has a free three-day trial membership that allows members to create a profile, search other members' profiles, send and receive emails, and read and contribute to discussion boards. Once the free trial expires, if they do not upgrade to a paid membership, members can still log into the site, browse and edit their profiles, but they will not be able to email other members and are limited to one discussion board post in a 24-hour period. Christian Connection makes it easy to break the ice by allowing users to "wave" at each other online with an option to follow up with a message. This is a great feature that makes interacting online less intimidating. Discussing political views and other sometimes tricky topics can be suspended for a time while simply spending time online together and potentially spending time in person. All the payment plans offer unlimited messaging. Also members should be aware that the plans are recurring, meaning Christian Connection takes the payments out just before a subscription renews. The site has the article "Safety on Christian Connection" with information about scammers, how to prevent being scammed, and safety tips when meeting someone for a date. Christian Connection states that it manually checks all profiles for signs that the person is a scammer and has automated systems to detect scammers and prevent them from gaining access to the site. Christian Connection has links to report members and to report specific email messages. Safety guidance and ways to report users who are in violation of the site's standards. Christian Connection does not reveal how many registered members it has, although it claims to have helped thousands of couples start relationships and even more people find friendships with like-minded Christians. If you are searching for Christians from a specific denomination or church, you may not have many members to choose from. Members on the U.S./Canada site don't have an option to see member profiles from anywhere other than the U.S. and Canada, so they do not have access to the larger pool of members in other countries. 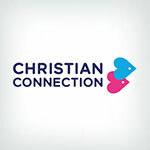 These special events that Christian Connection sponsors are only available through Christian Connection UK, so they are not accessible to members outside of the United Kingdom. When you register, Christian Connection asks you questions about your likes, goals, hobbies, and religious beliefs, but there is no criteria mentioned that Christian Connection employs to match members. Once you have joined, you will see a list of members you may like, but there is no information about how those members were chosen. It can be difficult to meet other Christians outside of work and church, especially if you don't attend a Christian college, and Christian Connection provides a solution to this dilemma. The site offers a free three-day trial membership and offers a free basic membership after the trial ends, but non-paying members are very limited to what they can do on the site once their free trial ends. Consumers may want to start with the free trial membership and search other members' profiles to determine if there are enough compatible members in their geographic region before deciding whether they want to pay for a subscription to the site. The site does provide good safety information to its members to help keep them safe and encourages users to report members who do not follow the site's guidelines or are abusive to other members. Christian Connection is an award-winning site that is dedicated to matching single Christians. Thousands have found love on ChristianConnection.com and thousands more genuine Christians join every day. Christian Connection's best feature is also it's Achilles Heel. The Boards. Unusual on a dating site, to be able to openly discuss issues in chat forums. But because the site is open to almost any denomination, from those of no personal faith other than a religious affiliation, to those whose personal relationship with God is of the utmost importance, the boards are open to disagreements of faith, and on religious, or doctrinal issues, which can result in inevitable public unpleasantness, fingerpointing and accusations. Although the admin team do monitor the boards, this can be perceived add heavy handed, and often comes down on the side of the liberal interpretation of the gospel, rather than those with more fundamental views. Which adds to the perception stated by other reviewers that the site isn't Christian. One of my main reasons for subscribing to the site was for the boards - I enjoyed using my writing to connect with others, to challenge and encourage. In fact many of the best connections I made were from the boards, and I would be contacted by members of both sexes who appreciated my board posts. Since meeting my boyfriend, who contacted me after reading some of my posts, I've not been a full member of the site, and have looked for other avenues to discuss and support single Christians and those embarking on relationships. Perhaps I just need to start up my own site . . . So glad I found the Christian Connection dating site - I firmly believe God used you to bring us together to find love and happiness and to support each other through our Christian journey and life in general. When I joined I was very sceptical but within 4 weeks I met the love of my life! Our wedding is set for June 2019!!! We can’t thank you enough but THANK YOU!!! Hi Michael, could you get in touch and we'll look into this. All profiles do have to go through our moderation and security checks but it doesn't usually take this long. Thanks. loving christian connection so far! i've had nothing but luck with all the guys i've found, plus its so nice having a dating app specifically for christians! Hi Kymberlee, I'm glad to hear you've met some good people! All the best with your search. Generally good but recently I moved from a major capital city to a more regional coastal area to retire. There are very few members once you get away from the large capital cities and even less paid members so even if I subscribe as I have I dont have anyone to talk to in my area. Perhaps if a paid member in a smaller area contacts an unsubscribed member close by that unsubscribed member can be given a trial period to chat if they are interested ? Or perhap there can be a searchable selection stating if a member is willing to travel or relocate if they find the right partner on this site. I have found a lovely city lady with nothing tieing her down and we are chatting, Im hopeing she will move to become part of my family, but it was one heck of a struggle to finally find her. A simple searchable selection like "willing to travel" would have helped immensely. Otherwise this is just a capital city site and 90% of the country shouldnt bother. God bless and happy searching. Chris. Hi Chris, thanks for your feedback, we'll take this on board. We do offer free membership in areas with a low population but we'll look into this again. God bless. Generally positive experience. Good customer service and lots of other users to talk to. Went on several dates over about a year and a half but eventually met my fiance on the site which was a big plus :). Congratulations Chris! That's wonderful news. Wishing you both every blessing for your future together. It's so hard to find people who share the same beliefs as you, Christian Connection has helped me immensely. I've met some amazing people! The site is also super simple and easy to use. Thanks Hailey, that's really encouraging to hear :) All the best with your search. Thanks for your feedback, Chloe. Please let us know if you spot anyone that you think isn't a Christian and we'll look into it. There's a 'Report' link on each profile. All the best. That's fantastic Eric. So glad to hear that you're enjoying the journey. Let us know if we can help with anything. All the best. my experience is definitely not anything like the American site where you actually have CHRISTIAN BELIEVERS on. The people I thought I was contacting Also had "famous namesakes" when I checked them out and whoever was writing the emails were not consistent or the terminology wasn't what a person of 70 year old would use. So I knew whoever was writing was lying. !I have a friend who encountered similar! Terrible they use" CHRISTIAN" in their title. I'm really sorry to hear this, Maureen. Could you get in touch with us and let us know which profiles you believe shouldn't be there. Every profile on the site is checked and moderated by our team and we remove people who aren't up to standard, or don't appear genuine. Of all the Christian dating sites that I know of, this one was very straightforward and Christ-centered. My husband and I first connected on there in August of 2017. After realizing that our relationship was going in the direction of marriage, we cancelled our membership and the rest was history. I gave 4 stars because my husband had some issues cancelling his membership while still being charged for membership. It was resolved of course and actually a good investment in the end because the site proved to be legit and had given me a totally free membership for the entire time that I was a member. I paid $0 after having wasted $35 using Christian Mingle... two thumbs up for Christian Connection. Congratulations to you both! Sorry to hear about the hiccup with the cancellation, but glad to hear that it's been resolved. Thank you for sharing your story and encouraging others. Every blessing for the future. I picked my best pictures. I wrote a telling, honest open profile presenting my positive points (with my faults to be admitted later). They gave me a free trial! I had no one near to court. I decided to go out on a limb and try for a long distance relationship. I waved lots. I talked lots. Then my special one and I met and we wrote as often as we could (as opposed to only every couple days). Soon after we moved to emails, phone conversations and video chats. We just had to meet in person so we shared the cost of her flying in for a visit. The rest is true love romance with us married for keeps under God. This place works and has the best to offer. My wife loves the Lord first and we would not change anything for a second. Believe, take heart and keep the faith. God makes prayers come true. Gregory, your story is so encouraging, thank you for sharing. I'm so glad to hear that your perseverance and willingness to widen your search, paid off. A big congratulations to you both and every blessing for the future. There are some genuine Christians on the site but many more who are not. The company that runs it however will quite happily ban anyone that defends scripture and does not agree to a very liberal and anti scriptural agenda. It should really be renamed “Anti-Christ Connection”. I'm sorry to read this review, Ian. We are a small team of Christians, committed to serving our members equally. There are a few rules that govern the discussion boards, which we ask everyone to adhere to. We recognise that we all belong to a broad church and different Christians hold different views. We just ask that our members respect one another's beliefs. I understand that you met someone on the site, so I'm glad to hear that things worked out for you. The dating side doesn't work well for the vast majority as people tend not to reply to messages. So to justify the fee you get busy on the boards. Which is a group of mostly white middle aged people, making thinly veiled racist comments, slapping each other on the back, liking each others posts, while ignoring and freezing out new comers do yourself a favour save your money. Tina, I'm sorry to hear that the site hasn't worked for you yet. Don't give up hope! A few people meet someone within a few days or weeks of joining but for most, it takes a little longer. Perseverance, patience and broadening your horizons is the most common advice that we get from people who have met someone. We have had many thousands of success stories and I keep hearing of other stories through my own network, even though they haven't shared their story with us. So keep plugging away and feel free to get in touch if you need anything or would like more info on how to get the most from your membership. All the best with your search. Absolutely controlling and not Professional or decent in the way they harass You . As a Genuine Male Christian.. I have been threstened with Cancellation of my profile with no refund. They have rules and conditions that they seem to pick on genuine guys who make contact to ladies they are genuinely interested in.. supposedly it is a condition of Use that all members reply. . But most woman are not Polite or decent enough to even use an auto response. . Instead after 2 emails and 2 waves in the space of 4 weeks .. Im getting warned by email from them that Im getting blocked frequently. . So I asked for examples. Jonathan a Customer Service person sends Me 3 email links to show me that my emails were supposedly blocked and bothering the lady. I assure You my emails in 2 of the instances were short and very polite.. but also the lady had not responded with a no thanks or any auto form.. am I a mind reader NO.. is the lady required by their rules to reply YES .. anyone who has been polite an says NO .. i then Bless them with a typed prsyer in my words wishing GODS Blessings for them to find the One right person for them.. Then there is the issue of being told in the first email Im not allowed to send my own contact details. . Firstly they are my contact details.. 2ndly as I can see the ladies profile isnt a full member and cannot respond through their site . Its my private right by law to give anyone my details.. im a 57 yr old fit uoung trendy guy who looks 45 and has the strength agility and stamina of most 40 yr olds.. so I believe anyone who is at least 20 yrs younger has the right to receive a contact from Me .. and then GOD would sgow Us if We communicated if We are suitable.. instead this site CONTROLS Us to not be able to even communicate as genuine GOD loving Christians that are too Young for a relationship but are true family and a possible Friend thru Christ.. dont worry I understand there are a lot of people men who are not genuine and harrass people.. but im not one of them.. only seeking One Christian Lady who is my equal thru Christ snd in Love for One another.. bot an essy thing to do and even harder with this site being so Controlling and ridiculous in their unsubstantiated warnings to Cancel My Paid subscription with no refund.. its not the money.. its the Principles behind their Controlling emails and site... As my experience Im very unsatisfied with their Professional far from Christisn or GODly behaviour that doesnt line up with Statutory Laws ..or allowed Adult behaviour. Happy to hear other peoples experiences. . But I would not advise any males to use this Christian Connection site.. not operating in GODS fairness or honesty or standards of the way they have harrassed and treated Me.. even though I have tried to abide inside their controlling rules. Blessings to all.. Daryl ? I'm sorry to hear about this. It does sound like there's been an error. If it hasn't yet been resolved, please could​ you get in touch and we'll sort it ASAP. Many thanks. I found the website easy to use. There are amendments that I would like to have made e.g.. stopping people outside my chosen age range from contacting me. I'm also aware of one user who should have been blocked for inappropriate behaviour and wasn't. However, my own experience was overall good. I had chats with some men, met a couple more and have married my brilliant husband who I met through the site ... so, job done! Thanks for your review Rachel. In response to feedback from members, I'm pleased to say that members can now choose the age range you want to be visible to in searches. Congratulations to you both on your marriage! Wishing you all the very best for the future. Congratulations Robert! That's wonderful news. We wish you and your wife every blessing for the future. Over 2 years ago I decided that I wanted to meet a man who loved God more than me. So I found your service and decided to give it a go. In September this year, I received a message that simply said "Hi there", I respectfully replied and well we found a connection and there you have it, we are in love. We have met and thoroughly enjoyed ourselves. I trusted your service to keep me safe and it did. I would recommend your service to others looking for that right connection and most important of all that they want someone who loves God more than them. That's wonderful news Aroha! Thank you for sharing your story with us, and encouraging others. It just goes to show that even the shortest opening message can lead to something much more. Wishing you both every blessing for the future. Christian Connection is the 3rd dating site I have tried and is the only one I've found where I was able to meet like type persons. I'm pleased to say that through the site I have found a lovely lady. We have now met up a number of times and our friendship is developing well. The site offered me the chance to meet people on my level and who shared their believe in God. This was important to me. Thank you to the staff of Christian Connections for your service. Through you, I have found the beginning of a new life. Congratulations! Thank you so much for sharing your story, it's really encouraging to hear. We wish you both every blessing for the future. Hi Charles, I think you might have us confused with another company. We are not a public listed company and are not owned by anyone else. We are a small team of Christians, committed to serving our members equally. We do have a few rules on the discussion boards, which we ask everyone to adhere to. We recognise that we all belong to a broad church and different Christians hold different views. We just ask that everyone respects one another's views and beliefs. Wishing you all the best. Christian connection is NOT A CHRISTIAN WEBSITE AT ALL, Christians should not pay for it ever, because when you state things such as: Homosexuality is sin, they close your account!!! They are only supposedly Christian, in name, but in practice they censor Christian beliefs and they are very politically correct, Christians should not sponsor that website. There are other websites such as Christian cafe or fusion101 which is even free. Also I can tell you that I have been on christian connection for years...I think since 2007 or so and they never ever give any free time, I think they gave only once for a few days, and never ever again. They are totally stingy and what matters to them is MONEY, that is why they want only rich western countries to join such as Australia, UK, USA, Canada! Horrible website, horrible. Also, there is not many people either on there. Anyway, no christian web should censor Bible verses and biblical beliefs, and therefore that is NOT a christian website and Christians should go to other christian websites that truly are Christian, as this one is NOT. And yet, this is what they falsely claim: "The Christian Connection UK website owner (Widernet Communications Ltd http://widernet.co.uk) describes itself with these words: ”Christian Connection is a Christian dating site owned and run by Christians and has been since its launch in September 2000. Christian Connection is the largest, and longest established subscriber based UK Christian dating site. The site is Christian owned and always has been." Look up for the guy Torsten Nenzen and his correspondence with Christian Connection. I m sure you can find his testimony on the web. I wanted to check if that is so so I stated the same on my profile, the following day they closed my account under the pretext that I live outside of the UK, which is only a pretext, as I have had my profile on there since 2007 lol and they also need to approve my photos every now and then, so they most certainly did notice what I wrote earlier and where I lived, but they never closed it before! They want more women on there so they would not close it. But now they did! They will find any pretext to close your account if you write something politically incorrect. So folks, if you want a christian website, find something else, dont give your money and finance these bigots. Hi Reb, I'm really sorry to read this. We are a small team of Christians, committed to serving our members equally. We recognise that we all belong to a broad church and different Christians hold different views and beliefs. We just ask that all our members respect one another's beliefs. It's been a while since you posted this, so feel free to get back in touch to see if we can help. Didn't receive any responses. Sent out several messages. Even uploaded a photo and wrote a breif intro. Sorry to hear this Jack. It's very unusual to get no responses at all. It sounds like you've done all the right things. Could you get in touch and I'll see if we can give you any pointers. All the best. Thanks for your kind words Wayne, your feedback is really encouraging for everyone on the team. Wishing you all the best in your search. I have always managed to find some decent Christian guys on this site. Can't speak for other's experiences, but mine have been generally positive. There's bound to be fewer users using a Christian site and probably fewer male users than female. That is really encouraging to hear, Anne. Thank you for sharing this. God bless you in your journey. Free trial functionality needs to be modified. They should NOT use free trial members for a BAIT. Using free trial mbers for luring other existing members to subscribe is NOT an ETHICAL business practice. Ok it's a business however It can be running without being UNETHICAL. I used to be on Christian Connection until I got kicked off because someone had allegedly sent a "serious report" about me. At no time was I given the opportunity to answer any accusations (whatever they were) and was just dumped off the site. No right of appeal, no other explanations, just dumped. I very much doubt if Christian Connection every got any substantiation from these (at best spurious) allegations because frankly I never ever said or did anything worth reporting to anyone I met on that site. So it seems that if someone bears a grudge against you, or you do or say anything that might tick them off, then they can just say whatever they like to Christian Connection and they can get you kicked off!